In my art practice, I have developed a flexible, multi-media approach with my own unique style. I am inspired by the beautiful details of realism and I also enjoy experimenting with abstracted forms. 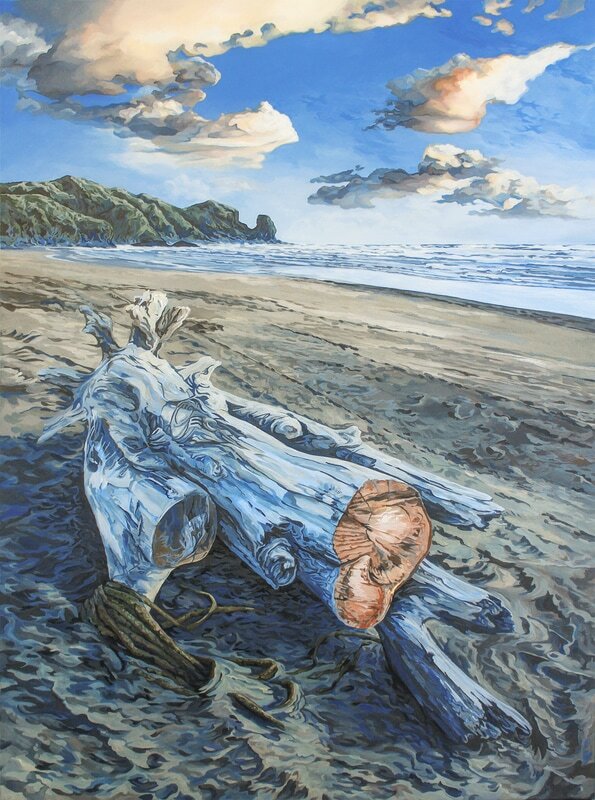 Auckland’s magnificent West Coast and the Waitakere Ranges where I have grown up are a strong visual and psychological influence. I’m drawn to the edges, in-between places and changes of state as metaphors for aspects of human life experience. Collecting, exploration, navigation, migration, South Pacific—European identity, femininity, poetry, music, landscape, ocean, transitions, environmentalism, recycling, communication, relationships and humanity. 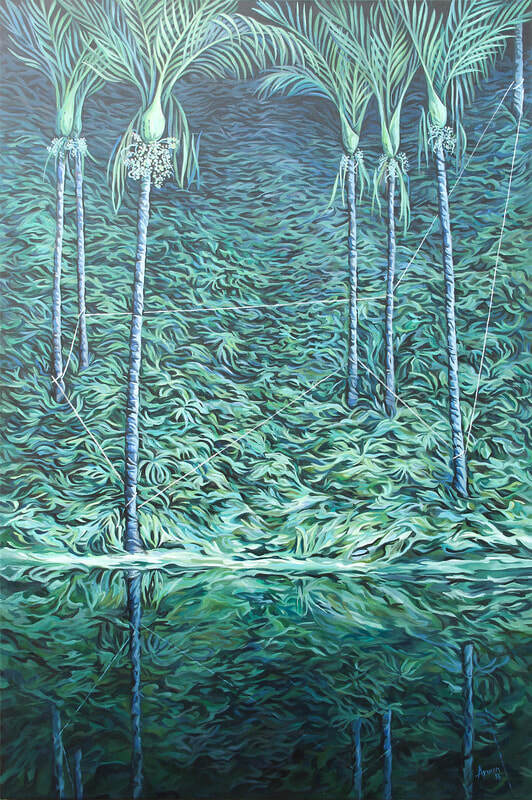 I have a Fine Arts Degree (BFA) and work from my sunroom studio in Helensville, Auckland. ​Prices are indicative and may vary if works are on exhibition ​($NZD). As well as painting landscapes — the places and spaces I love, I have been bringing realism and abstraction together through investigating the mandala (or circle) within my art practice, inspired by the philosophy of 'as I create, I am also created.' The experience of making each artwork is a form of meditation — the completed work can be enjoyed through active contemplation, as a meditational focal aid or purely for decorative reasons. NOTE: This work is currently drying and waiting it's frame, the final diameter will increase once framed.